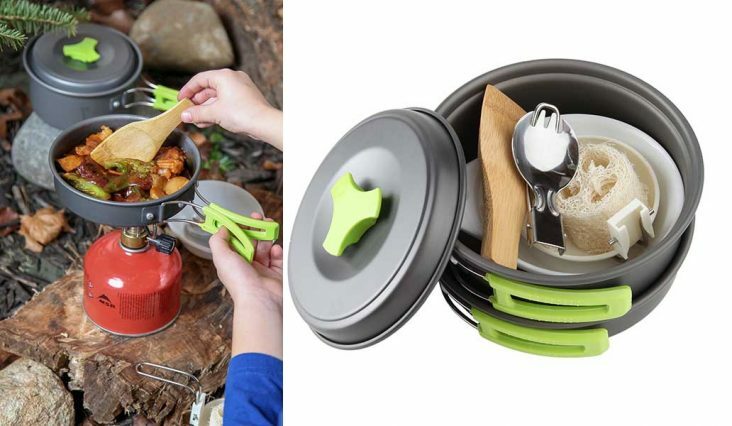 A handy all in one camping mess kit that contains everything you need. 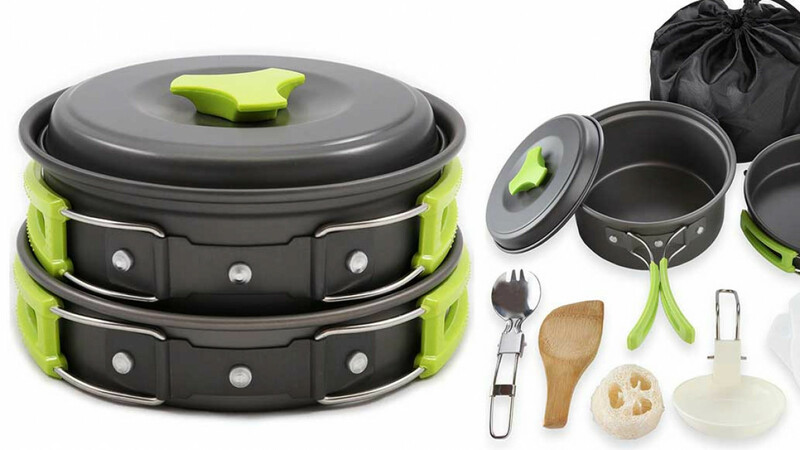 This is a high quality item that has been built to last using FDA APPROVED Non-Toxic Anodized Aluminum. The kit includes ten pieces and a recipe book with some great, easy recipes you can whip up quickly. 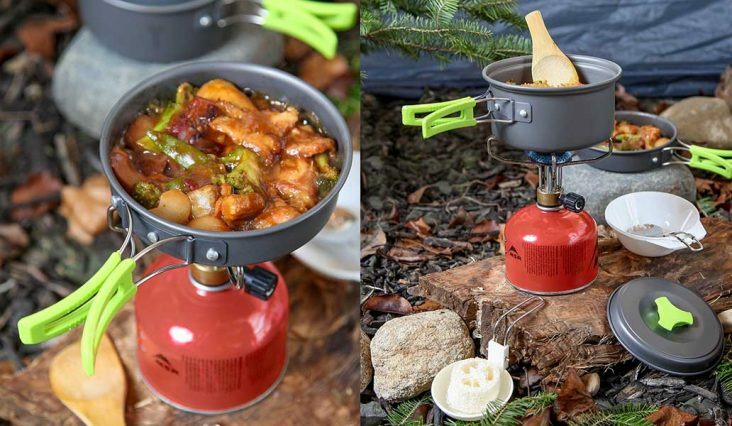 It is lightweight, easy to carry and perfect to take with you fishing, camping or hiking.